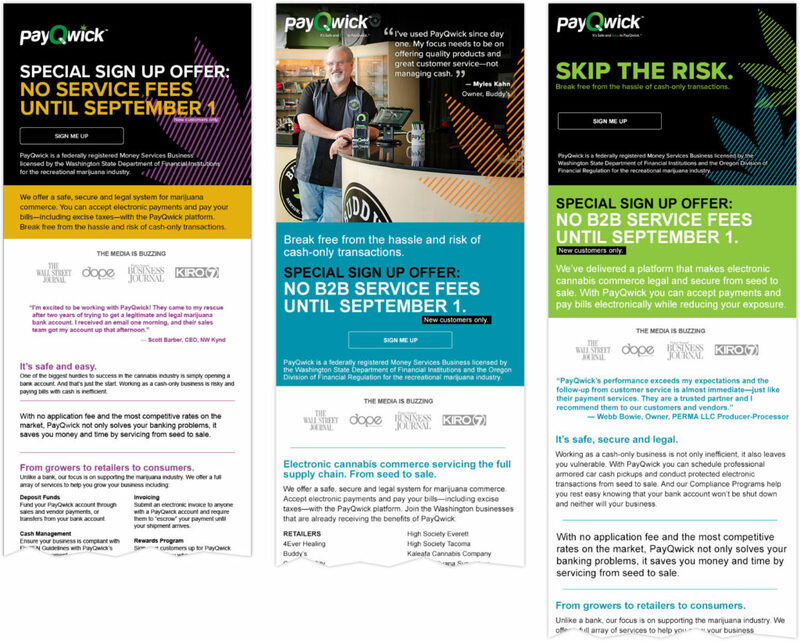 The PayQwick sales team struggled with credibility from business owners who assumed their only choice was the traditional route—banks. 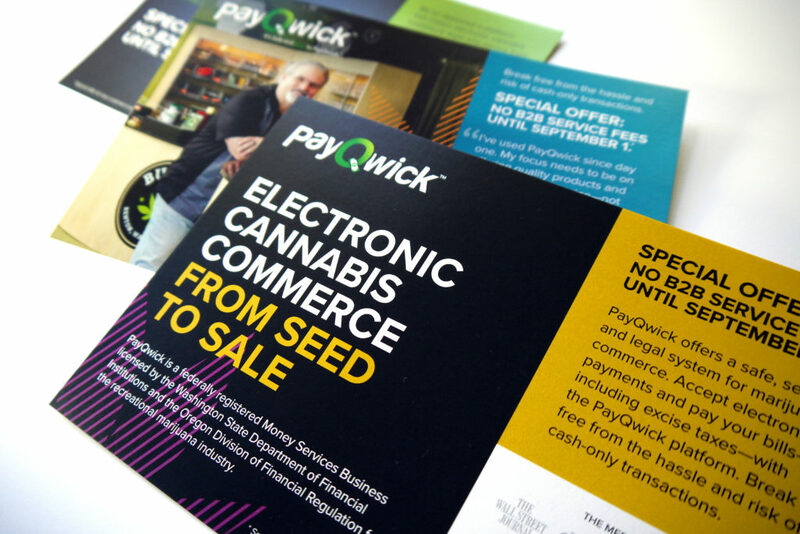 This campaign focused on elevating the creative and messaging, creating awareness within the marijuana industry and warming the leads for the sales team. The email campaign generated a 16.5% increase in average open rates. An A/B test setting the previous art against the new campaign saw a dramatic 775% increase in the click through rate.